Have you ever considered what it might be like to rent a farm animal? Wait, wha??!! Where and how do you do that??!! First, let me begin with the “why” behind my idea to rent an alpaca, actually a pair of alpaca, for one year. Bottom line…I wanted to try out fiber animals without the commitment. I know that there are folks who love their animals, but frankly can’t afford to take care of them the way they would like to. This sort of “renting” thing would give the owners a break from the animal, without letting go entirely, and give me a chance to decide if I really wanted it. At the time, we owned several breeds of goat, and I could have easily incorporated an angora goat for fiber, but they just weren’t working out. The angels had long stopped singing over the goats. My love affair with them was pretty much over. They did so much damage and were continually sick, regardless of how hard I tried. The vet bills were ridiculous and I was seriously considering parting ways with all things caprine. I also considered sheep, the ultimate fiber animal, but they share many of the same health issues with goats. Then, I considered angora rabbits, but they don’t really fit our family. Angora rabbits require daily brushing and are fairly fussy, and that was unrealistic for us. So, what about an alpaca? Before we purchased our farm, we considered raising alpaca. We even visited an alpaca farm to see how they behaved, but they wouldn’t let us pet them, they hissed and spit at us, and were overall kind of weird in my opinion. However, by now I was a much more seasoned farmer, and decided that perhaps I should give them another try. 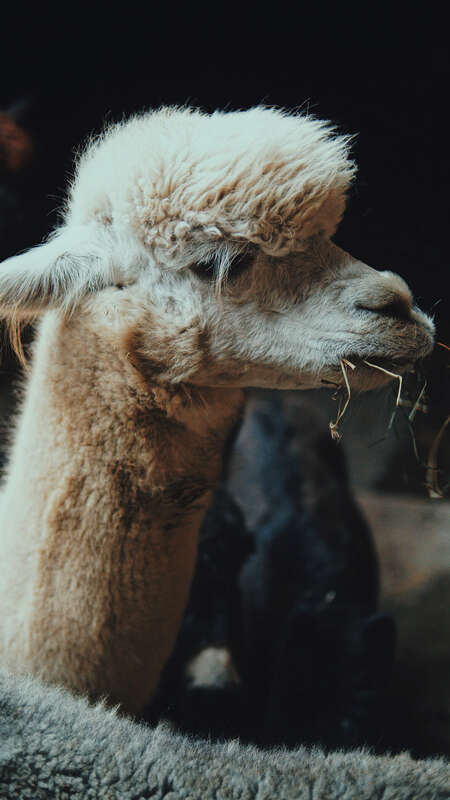 Alpaca can be very expensive, and there is a great deal to know about their fiber. All alpaca are not equal, and neither is their fiber. I didn’t want to get stuck with someone else’s problem (that’s happened before) or with an animal that requires more long term that I can give. I would rather “count the cost” upfront as much as is possible with farm animals. My thoughts were to find a good, reputable alpaca farmer, who might have a few too many alpaca. Perhaps we could strike a deal where I could “board” the alpaca for a year, and work out the details about maintenance, vet bills and feed between us. Then, when it came time to harvest the fiber, we would split it between us. At that time, I would like to have the option to buy the animal or to give it back. It took well over a year of talking to different people about my proposal to find the right person, and that’s the key here…the right person. Trust must be gained from both parties. They need to know that you are reputable as well and a trustworthy person, who will take good care of their animal. I found my “right” person at the farmer’s market one day. I’ll call her “Sue” for the sake of telling the story. Sue sells yarn and gorgeous woven rugs at the farmer’s market, and we had spoken several times over the years. One day, while strolling through the market, I decided to approach Sue about my idea. She really didn’t know me personally, only as a customer, and I’m sure she didn’t know what to think of my proposal. However, I left her my card so she could check out my website and get in touch with me. Finally, Sue called me and wanted to talk. She had 2 more alpaca than she really had time and money for. Her aging parents were taking up more and more of her time, and so she was open. So we hatched a plan. She had two female alpaca, and one was pregnant. We agreed that I would “board” them, take care of feed and maintenance for one year. The one female would deliver during that year and once the cria (baby alpaca) had weaned, then Sue would get the baby and I could keep the two alpaca. If the baby was a male, then I would have the option to buy him if I wanted. We wrote up a short contract, which is always a good idea, to clarify expectations and nail down details. I also asked for assurance that the alpaca were up to date on shots and were in good health. In just a week after agreeing to the terms, I was the proud “boarder” of a white and a black alpaca! First, the white alpaca turned out to not be pregnant after all, no baby was ever born. Second, alpaca food is very costly. 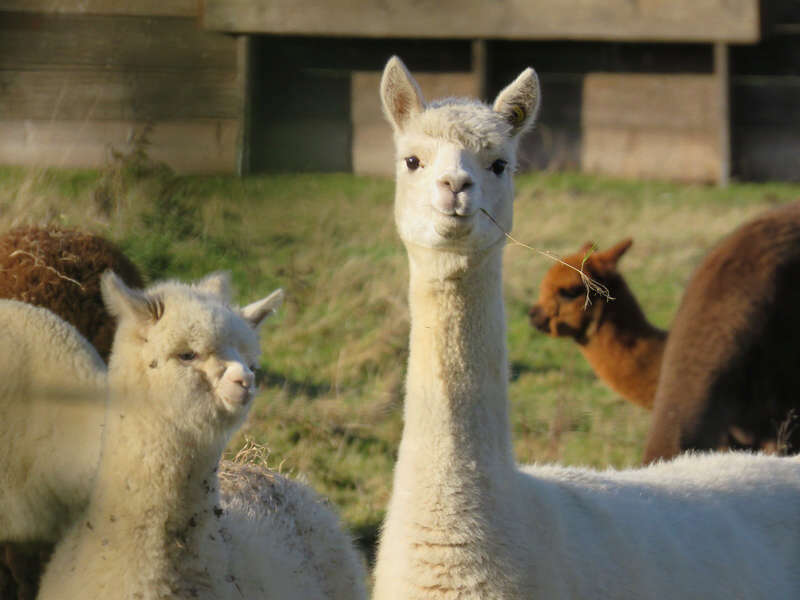 Third, alpaca farriers are not interested in coming to a farm for 2 alpaca. This surprised me as this is not the case with horse farriers. It is virtually impossible to do yourself. Fifth, the fiber was very poor quality and was not even good enough to make into yarn. I did get a nice black and white rug out of the deal, though, made by Sue! To conclude the story, I gave the alpacas back to the owner. Fiber or no fiber, this animal is not a good fit for me or my family. The experience and knowledge I gained was well worth the expenses incurred during the year. I encourage you to “think outside the box”, so to speak and ask around about renting your own farm animal!